First let’s look at common problems companies try and address using automation. How do you do more with less? The entire cybersecurity industry is dealing with a lack of qualified and experienced personnel. This leads to security teams spending the majority of their time responding to incidents, not being able spend time developing and documenting automated processes that can protect business goals. Even with the growth in DevOps culture, finding qualified security-focused individuals that understand SOC operations and can help security teams automate their processes are still in very short supply. Along with the shortage of qualified security personnel with automation, and the shortage of automation developers with security skills, is the challenge of shifting the culture of security teams and programs to embrace automation. Also, many times automation is perceived as a threat to a security team member and their job security, and can work to derail automation strategies to reduce the perceived job impact. How do you reduce the noise to get the real issues in front of experienced security analysts? With enterprises having 50+ security vendors on average, the noise generated from these products puts unneeded pressure on security analysts to decide which alert requires more attention. This leads to alerts that may be really important falling through the cracks more often, increasing the probability of a larger event happening. How do you shift workloads from teams that are already over-committed? 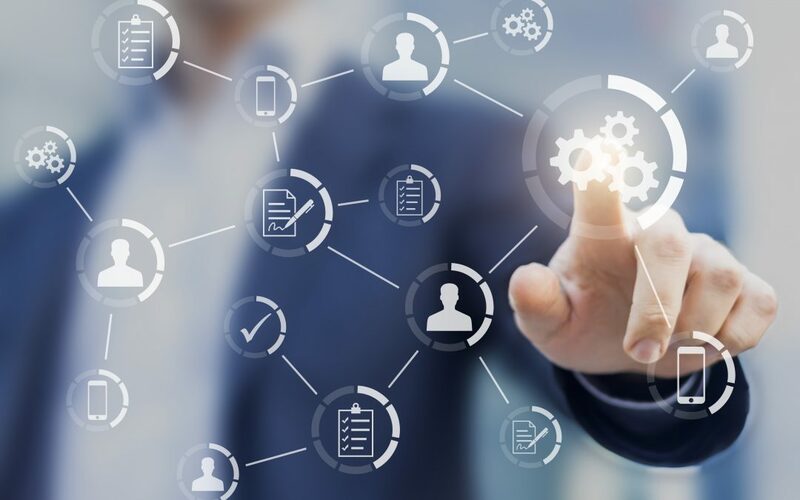 With the lack of experienced personnel, and sifting through the alert overload, the largest problem is how to allocate resources away from running day-to-day operations, to work through the tactics of the automation strategy. These resources may currently automate to facilitate some short-term needs or projects, but require leadership to be on board with having an automation strategy and plan to allocate the needed resources. After defining the problem, it is key to understand how bad that problem is in your environment. Here are two facets to that challenge. How often does this process happen? How many resources does this process require? How many technologies are required to be utilized? Are there defined, repeatable processes, that are now being handled manually? Are the security and business objectives mapped and aligned? Are the security processes being monitored? 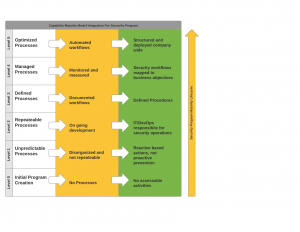 Applying the CMMI to security programs, the figure below represents the levels of maturity of security programs and illustrates the levels in a security program’s lifecycle. For example, a newly minted security program initiative may lack defined processes that can be designed from the onset, easily transitioning to automated processes. With security programs that are already established, the figure illustrates ways to ensure that automation can thrive. As an example, if there are already defined processes and workflows, how to take those, and properly monitor and measure those process. This allows proper insight into the value that automation can provide, and how the processes can help align the security program with business objectives. In the next part of this series, we will look at how to build a cybersecurity program to thrive with automation, and provide a more efficient security team, able to handle more requests and drive the security strategy for the organization. October is Cybersecurity Awareness Month, a time traditionally focused on empowering individuals and organizations to adopt more safer practices online. But October should also provide a moment for honest reflection among the professional security community about what is – and isn’t – working in our security arsenals. IT teams are being asked to do more with less, and security concerns can become squeezed in the process. Find out more about how our customizable Automation & Orchestration solutions can help streamline your IT and security operations, while reinforcing security at the same time.